Another show, another blog post. Last weekend I popped down to London on the scorcher that was Queen Elizabeth’s official birthday to see a couple of shows, and a surprise flyover of the Red Arrows (it was a surprise me anyway). When I’m on my own for the weekend, it gives me something to do and honestly right now I’d rather spend my money on watching very talented people dance and sing in front of me than buy a new eyeshadow palette (apart from maybe Urban Decay Naked Heat – still got my eye on that one). My matinee choice was Dreamgirls, and for my evening show I decided that Half A Sixpence at the Noel Coward Theatre would be the one for me. Despite being a lover of musicals, Dreamgirls was a film that passed me by. All the music I’d heard from it wasn’t really my cup of tea (apart from One Night Only – that song is fab), and even seeing Beyonce absolutely smash Listen when she performed on the x factor all those years back didn’t sway me. However, I was a huge Glee fan back in the day so for £23 I had to see Amber Riley perform and see what all the fuss was about surrounding Dreamgirls. When I saw that An American In Paris had been awarded a record breaking 28 5 star reviews upon its opening, I knew I had to find out what all the fuss was about. As I said in my previous review, I am definitely not well versed in the world of theatre enough to give starred ratings so I won’t be. But I will be telling you what I thought of the show. 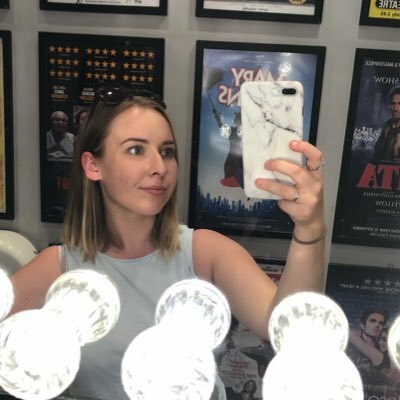 A few weeks back I went to the theatre for the first time in AGES. It almost breaks my heart how long it’s been since I was sat in the stalls of a West End theatre! I’ve now set myself a goal to see at least one show a month. That can be West End, touring or even AmDram; I just want to immerse myself in the arts more! Give me musicals and plays, I don’t care. I just want live theatre in front of me! In May, I managed to pick up a fourth row seat to The Comedy About A Bank Robbery for £13 (see how in my previous theatre post) so it would’ve been rude not to!